Book Creator is an app that lets you combine text, images, audio and video to easily create e-books. You can use it to create interactive stories, digital portfolios, bulletins or even instructional materials. The simplicity of the app lets you access the iPad’s camera to take a picture on the spot for your book. You can also use pictures you already have in the iPad’s photo library or navigate to the web to choose images. With this app, you can record your own voice to support your written text. Created books can be saved in iBook. The app includes a Getting Started manual. 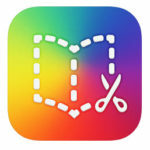 The free version of Book Creator lets you try the app with the creation of one book only. This app is very easy to use and is strongly recommended for people who are fearful of technology. The ability to record one’s own voice can serve as a motivation to some struggling readers. The versatility of this app makes it possible to use it for a variety of projects. It is easy to share books through email and cloud services (such as Google Drive). Books can be saved as movie files and uploaded to the web. It is possible to print a book created in Book Creator but printing from an iPad can be a challenge for some users.